This is the best opener trick for the real professional. You can you it anywhere, anytime. Perfect for stage, parlor and even close up. Bob Read would love it! 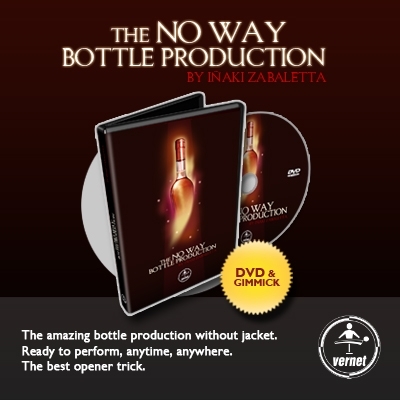 "Zabaletta performs his bottle production without a jacket to spectacular effect...Overall, I think the bottle production sans jacket plays stronger than one with a jacket. The surprise factor is much the same, but the jacketless approach probably holds up better in spectators' minds as they mull what they've seen and ask ‘where could that bottle have been?’"